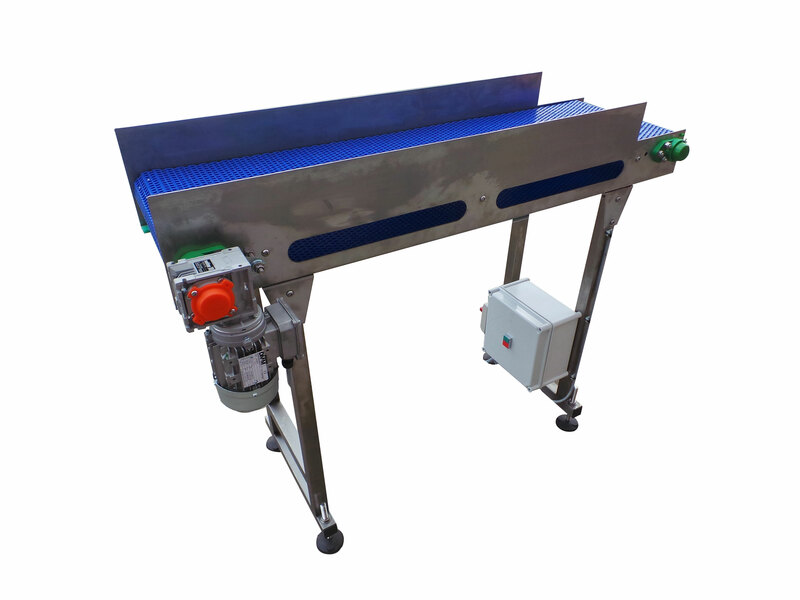 Conveyors and processing workstations for use within the food industry, built with process and reliability in mind offer large savings in production and on going running costs. Well built, reliable automation equipment need not cost the earth, but should be ergonomically designed, low maintenance, easy to clean down and ascetically pleasing. Making environments more attractive environment for production staff to work in will bring increases in product quality, lower reject rates and higher productivity. 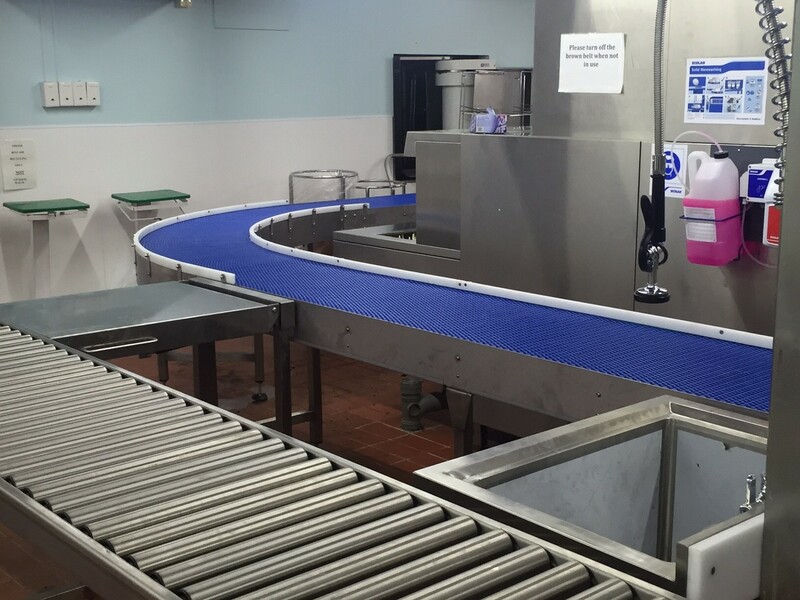 From concept to completion, Spaceguard is an ideal partner for the manufacturing of your bespoke food conveyors. 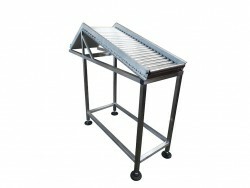 Designed with hygiene in mind Spaceguard food conveyors are built to last and easy to clean and maintain. 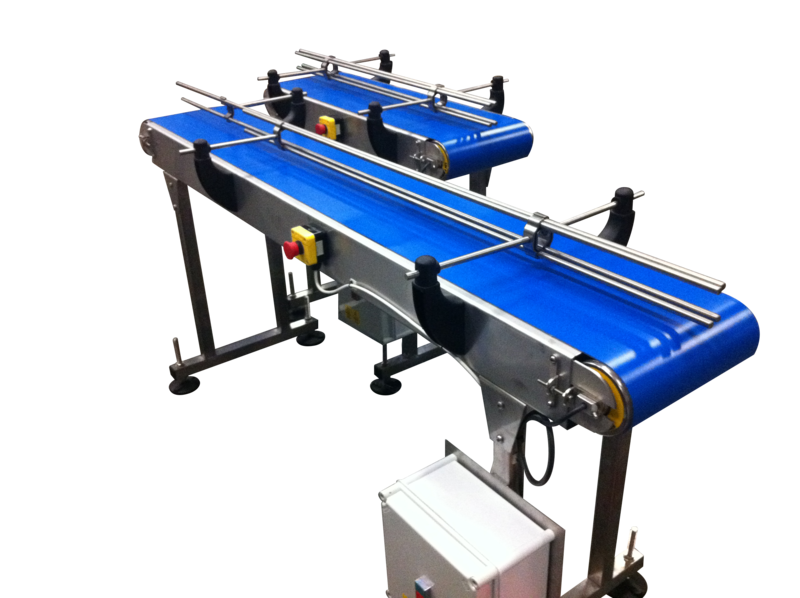 Using only quality materials and with a proven track record for delivering durable automation equipment, Spaceguard food conveyors prove robust, well engineered conveyors need not be expensive. Spaceguard provides a wide range of products which facilitates a "one stop" service for our customers providing all the components and installation for productive conveyor workstations. Spaceguard have a trusted reputation for understanding customer needs and providing reliable conveyor equipment. Using our 3D software we are often able to layout the conveyor workstation and provide 3d rendered drawings to enable customers to inform staff of planned projects prior to installation. 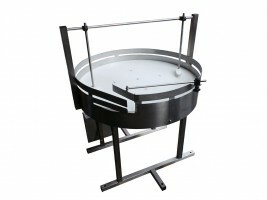 All our products are manufactured in our UK factory, using our robust designs you can be sure of a workbench which will last. 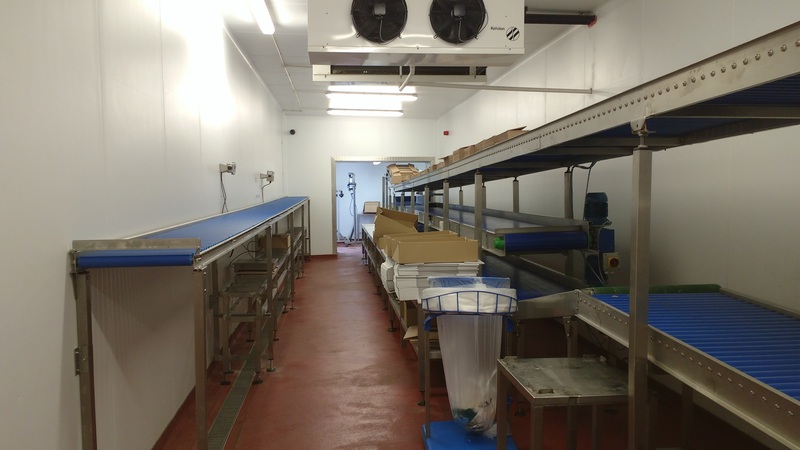 All of our equipment comes fully assembled an installed if your application is more bespoke. We are confident you will not be disappointed with the equipment and services you purchase from Spaceguard. 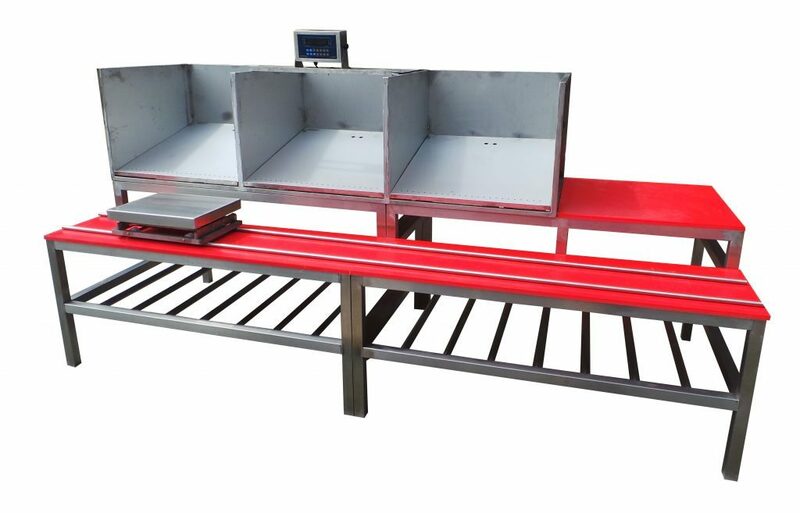 Spaceguard is the ideal partner for food conveyors and packing equipment as a UK manufacturer of automation equipment & workstations, that fulfill all the latest manufacturing and production philosophies, in particular the Five-S Kaizen Principles, which drive modern manufacturing. 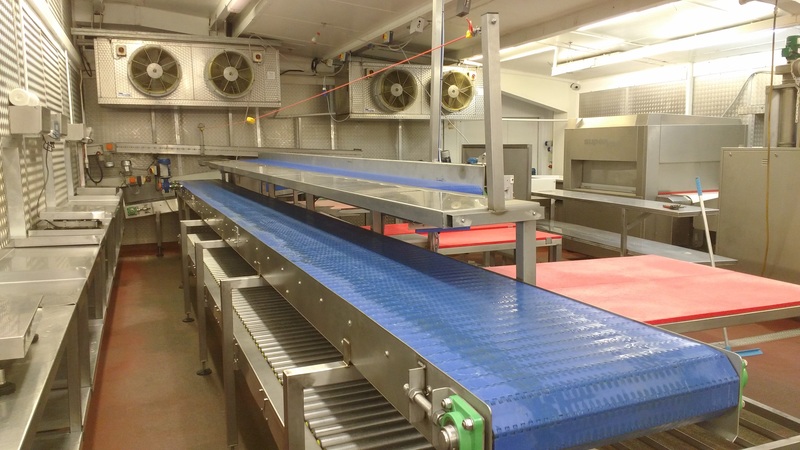 Spaceguard manufacture a wide range of stainless steel conveyor equipment, from Lean workstations incorporating IT equipment, stand alone transport conveyors to incorporated processing and packing lines.